Love isn’t found or gotten: it’s who you are. Only you can fill your own cup. No wound is too old or gnarly to heal. Nature is a living teacher, reminding us of our wholeness. Your Inner Kindergartner is an utter genius. When you say YES to YOU, life reaches a whole ‘nother octave of possibility and play. Hello! I’m Elizabeth, a guide in matters of the heart. I’m a professional clairvoyant, energy healer and teacher, and creator of the Whole Hearts in Love program. 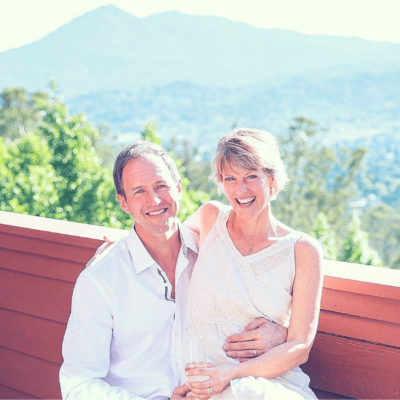 I help people create lives of greater fulfillment—particularly in relationships, work, and creativity—by claiming their inner power, love, and wholeness. This is the journey of the heart. “Matters of the heart” means so much more than roses and romance. Sure, a lot of my work touches on intimacy and emotions. But the journey of the heart includes so much more than this. Because your heart holds your vision of yourself. It’s what sings when you KNOW your own value and don’t need anyone else’s validation. Your heart is where your dreams are cultivated … or abandoned. It’s where your self-worth and identity live, along with every belief about what’s possible (or impossible) for you. What messages do you hold in your heart? Happily, your heart is not set in stone. Whatever limits you is not your truth. And there IS a way to release those old, limiting beliefs. It takes saying YES to yourself. Letting go of old identities. Coming home, again and again, to your own true, ever-expanding nature. Revelling in the new octave of life and love that becomes available to you. This is the journey of opening your heart to you. This process has become my life’s work … and it’s my joy to share with you. I’m a lover of wild things. Giant sequoia trees and great horned owls. Impromptu karaoke parties and late summer thunderstorms. The colors of nature and accidentally getting curly fries instead of the steamed broccoli you ordered. Love and liberation: yours and mine. I started observing relationships and love at an early age, right within my own family. As the saying goes, what we’re here to teach, we’re here to learn. For my own benefit — but also to support my clients — I devoted decades to training in the whole love-and-relationships thing including graduate work in Marriage and Family Therapy and countless relationship modalities. I became a star student in the very best therapy and self-help and body-based mindfulness and intimacy and communication tools … to Venus and Mars and back again. I discovered fabulous tools, and some great answers too. The only trouble was? They weren’t my answers. I still wasn’t connected to my own truth … so how could I create a genuinely fulfilling relationship? Thankfully, my whole world fell apart. My last relationship ended, leaving me disappointed, alone, and more confused than ever. How could I still be alone, given the mountain of tools, tactics, and strategies I’d accumulated? I spent a full year in the Holy Hell of facing myself. I set aside everything I thought I knew about relationships and love — and adopted a beginner’s mind. I questioned everything. I turned within for the answers. I reconnected to myself … and vowed to never abandon her again. to let go of perfectionism and beating up on myself when I make “mistakes” … and accept and love myself as a holy work-in-progress. to free myself of what my lineage and upbringing taught me a woman should be … and to value the uniqueness that’s mine to express. to be the source of my own validation and fulfillment. to no longer be the victim of my limitations, and to claim my own self-authorship — practicing awareness and confronting my perceived limits as I encounter them in an ongoing way. to spend healing time in nature, ritual, and meditation, working on the subtle and energetic levels of reality to amplify my connection to my own wisdom and gifts. to understand how unique everyone’s path really is, and that my work can’t be about giving you “5 steps” to anything or guiding you towards my truth — but has to honor YOU finding YOUR truth. Psssst … these are practices, not one-and-dones. This is the journey of a lifetime … and I’m walking it with you. People began asking me: how did you do this?? You see, that year was the hardest — and best — of my life. And it transformed absolutely everything: my relationship (with my now-husband), my friendships, health and work … and of course, my relationship with myself, which is the foundation for everything. Friends noticed how much lighter and more in-harmony David and I were. They saw me suddenly having the courage to speak my truth and letting that be enough. They enjoyed deeper, more authentic relationships with me. And they got curious. So I began sharing what I’d experienced and learned. It started with a few informal gatherings in my living room. And eventually, it grew into the programs, sessions, and offerings you’ll find here on my site. I’m delighted to share this journey I’m on with you … and to guide you on your own journey of the heart. Ready for a little fun, freedom, and fresh perspective? 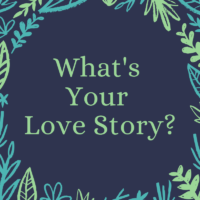 In this 4-video mini-class, I’ll help you discover some of your own Love Story — including elements based in limitation and fulfillment. My gift to you, when you subscribe to my newsletter. Take a 3-week group journey into wholeness, fulfillment, and true love. 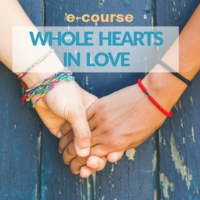 In this e-course, learn playful + profound practices to uncover your own Love Story and transform your world of love and relationship … so you can become the source of what you’ve been craving. 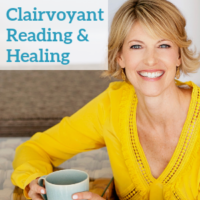 I weave together clairvoyant reading, energy healing and practical tools that empower you to release old blocks and patterns and to create your life (love, purpose, health and prosperity) from your own self authority. My passion is supporting you to discover and embody your inner truth and innate power to create a life you love. All with a healthy dose of joy and amusement. Step away from your day-to-day so you can come home — to yourself. Customized with love, just for you, this profound experience integrates expressive arts, intuitive work, and nature practices to help you cultivate clarity around the next steps of your evolution. I see a lot. An owl a hundred yards away … and other things, too. I au paired my way through grad school in Paris, worked on archaeological digs in the Middle East, and taught college-level French. As head of communications for an international agency, I globe-trotted to some magical spots and made deep connections along the way. I talk to trees (and listen, too). I hate when Stephen Colbert goes on vacation. I was born within a minute of the full moon, and often feel the power of their pull. I am wildly in love with taking people on journeys to shatter the illusion of limitation and show them what’s really possible. Today, I live in the hills of San Rafael, California, where you can often find me out in nature, hiking, and conversing with trees (which often feels like learning from the masters). Much of my writing comes from these outings, and I share reflections and photos in social media. I am so happy to be doing this work I love so much, I can’t not do it. I spend my days surrounded by my loves: my husband David, my four-legged soulmate Moxie the Wonder Dog, and a whole community of people excited to grow, explore life, and belt out karaoke together. I offer a safe, loving container for your journey of saying “Yes!” to you. And my only agenda is helping you dance to the beat of your own drum. Now tell me … what’s YOUR heart’s truest desire?